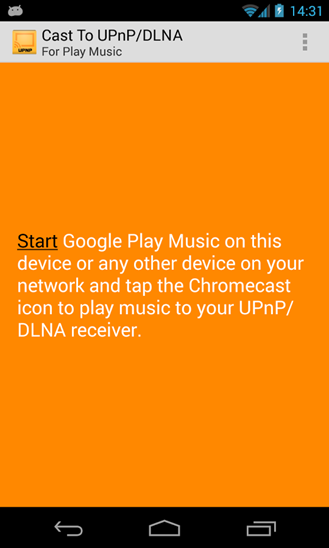 As the screenshots show, this app makes streaming music to supported UPnP/DLNA devices as simple as connecting to a Chromecast device. In fact, the app relies on the same icon and menu, so it should feel familiar to anyone who already has a Chromecast or two on their network. The developer has provided a video showing just how quickly and easily the app is supposed to work, demoing it streaming from Play Music to an Xbox 360 and XBMC. 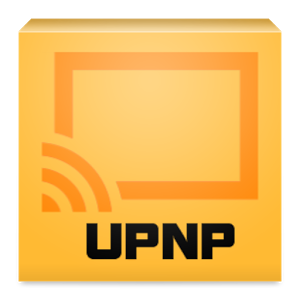 Cast To UPnP/DLNA For GMusic is free to download, but the free version only allows twenty minutes of streaming per app launch. 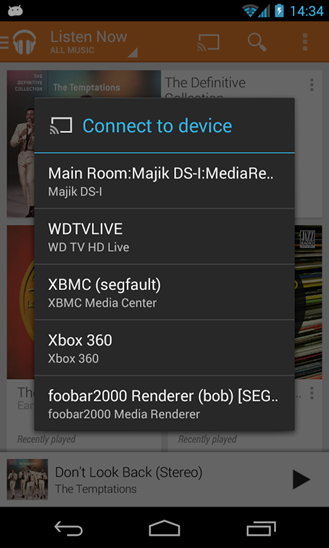 You can remove this restriction by buying the unlocker within the app for $1.99.